The beautiful Gunnera with its striking large leaves is hardy to about -20°C (-4°F) with minimal winter protection. 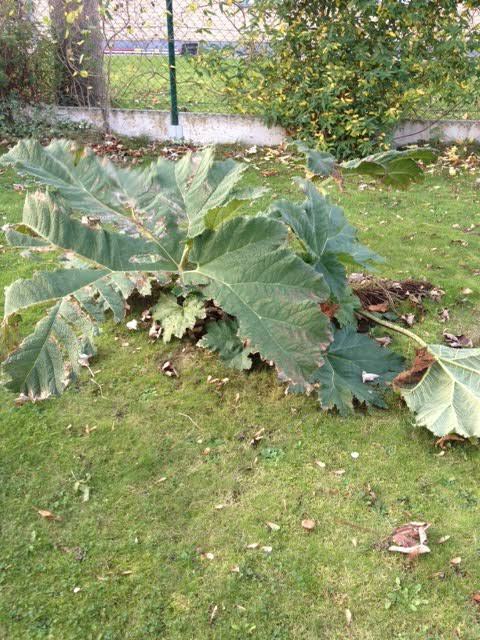 In this article, we show you how to prepare the Gunnera for the winter. 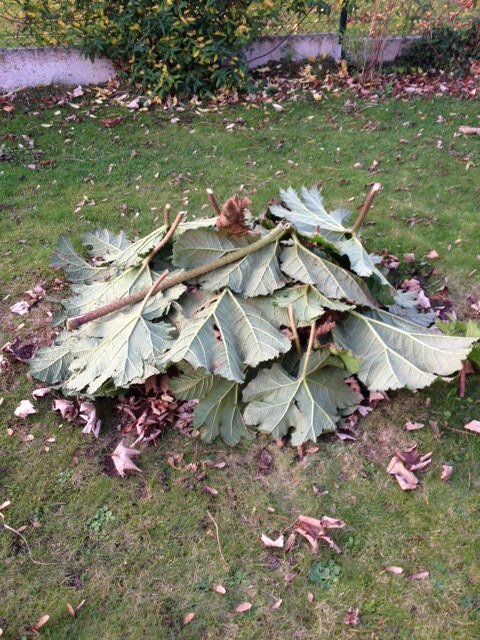 turn the cut off Gunnera leaves upside down and place them over the organic mulching layer. This will keep the layer underneath dry and prevent it from be blown away. NB. 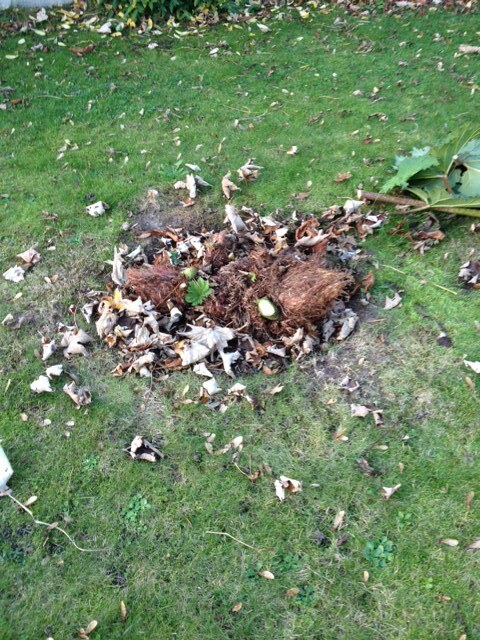 You can also invert these steps by placing the Gunnera leaves first and then the mulching layer but it will be more sensitive to wind! cover up with something waterproof (and big enough) as a huge container or plastic sheet.